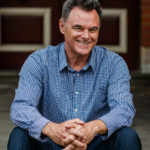 Adam has specialist skills in strategy, business model generation, innovation and facilitation gained through his experience building and supporting health care businesses in Australia and more recently supporting the transformation of Telethon Kids Institute. He is an expert in creating and capturing value from deep technologies and now supports researchers and subject matter experts to commercialise deep science based technologies across the health, agriculture and energy sectors by leveraging his extensive network. 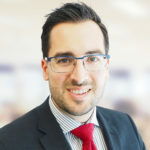 Adam holds a degree in Neuroscience (Pharmacology), a MBA and is WA committee member for Ausbiotech the representative body for the life sciences sector in Australia. His experience across the spectrum of commercialisation from knowledge generation to commercial exploitation enables him to work with founders at varying stages of development. 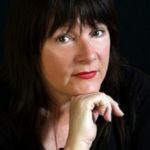 Anita Sykes-Kelleher is an experienced futurist and international development specialist with a passion for helping organisations and communities create their futures. Since launching Designer Futures in 2002, Anita has worked with governments, communities, NGOs and corporations in more than 30 countries on programs that have positively impacted the lives of millions. A former UNESCO employee, Anita is a passionate advocate for social inclusion and for the rights of future generations. Anita brings a transformative, action-oriented approach to exploring and co-creating enterprises fit for the future, collaboratively developing strategy, mentoring innovation, building capability and aligning culture with vision and purpose. She has designed leadership, foresight and innovation programs for corporations that catalysed future-fit businesses around Shared Value models and contributed to local economic development while building capacity for community ownership. A published author and sought-after public speaker on strategic innovation and global challenges for a planetary civilisation, Anita holds Masters degrees in Leadership, Management and Futures Studies, and a PhD that couldn’t be classified from the University of the Sunshine Coast. Anthony has 20yrs experience in Start ups, New Product Development, Brands, Brand Management, Innovation, Disruption, Behavioral Economics, Change, Leadership, and Coaching. With a background that inlcudes senior marketing roles with companies such as Lion Nathan, Diageo and Metcash, he is passionate about, developing people, business improvement, leadership, culture, strategy and brands, and specialises in humnan behaviour and how we can use science to help us improve our individual and collective performance. Anthony is currently Managing Director at Illuminate, and holds GAICD; Business & Marketing qualifications, and is also a qualified AFL coach. 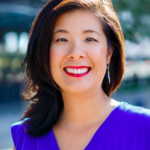 Bonnie Lin is a consultant, facilitator and public speaker that brings 20 years of international expertise when helping organisations accelerate growth through innovation and change leadership. Her portfolio of experience includes B2B marketing in Silicon Valley, lean manufacturing/supply chain in China and North America and managing a business accelerator and R&D grants. She has advised over 60 founders/business owners and is fluent in Mandarin Chinese. A Vancouver 40 Under 40 winner, Bonnie was a regular media contributor on entrepreneurship and innovation in the US. She served on the boards of the US District Export Council and the Pacific Northwest Defence Coalition. 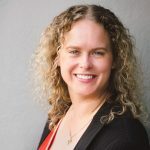 She was a member of the Seattle chapter of Keiretsu Forum angel investors, advocates for Perth startups through PROJECT X, Impact Seed and StartMesh, and supports 100 Women and Meridian Global Foundation. Bonnie holds a BA from the University of California, Berkeley, a MBA from the University of Phoenix and is a 2018 alumnus of 500 Startups Venture Capital Deal Camp. 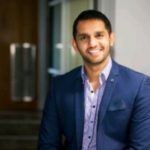 In 2007, Es Chandra founded his own marketing company called Glide Agency and within 5 years grew the client roster to the likes of the ABC, DVG Automotive Group, ABN Realty, Bedshed, Rentsmart, St John of God, Aspen Parks, Drug & Alcohol Office, Macmahon, City of Canning, City of Joondalup, Liquor Barons and Curtin University. Today the company has grown into a modern marketing agency, focusing purely on helping businesses and organisations to achieve considerable growth online. Whether it be through lead generation, increasing serious revenue or traffic. Glide Agency has become a lead player in the online science of results based marketing through customer acquisition, behaviour, conversion and high level analytics. Now CEO and leader of a talented team covering every discipline of Internet Marketing: Analysts, Search, Digital Advertising, Developers, Content Marketers, Designers and Account Directors. Kylie is a passionate contributor to the not-for-profit community services and social enterprise sectors, experienced in strategic policy, cross-sector relationships, outcomes measurement and project management. She has management experience across the not-for-profit, government and corporate sectors, and is well recognized as consistently delivering high quality services. Her strong background in NFP sustainability and revenue streams to support collaborative initiatives across sectors oriented at improving social outcomes, and to support socially conscientious businesses to articulate their social impact. Kylie sits on a number of Boards and Committees, including Linkwest, SCALES Community Legal Centre, AIESEC WA Board of Advice, the Fairbridge Centre for Social Innovation, the Social Impact Measurement Network – Western Australia, and the Alumni for Social Impact at UWA. She has also mentored at the School for Social Entrepreneurs. 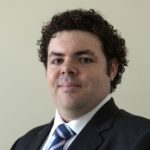 Nick leads Deloitte’s Intellectual Property (IP) Strategy and Commercialisation services team for Australia – a service line that he brought to Deloitte and has successfully grown over the last 12 months. He is an experienced intellectual property (IP) strategist with over 10 years of experience working alongside clients to unlock the value of their intellectual property assets. He is an experienced patent and trade marks attorney, qualified legal practitioner, IP litigator, and commercialisation advisor with a deep understanding of innovation strategies, IP leveraging, and achieving strategic business growth through progressive innovation. 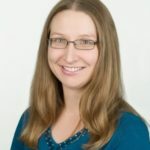 Sarah is the co-founder and CEO of two tech start-ups – LawCPD and CourseGenius. She helped create the underpinning technology for both companies – an innovative learning platform that makes it easy for organisations to create online training and deliver it seamlessly to any device. Sarah is passionate about using technology to help solve problems. She relocated to Afghanistan in 2014 and used the CourseGenius learning platform to run a successful eLearning pilot program for an international NGO. She is also actively involved in supporting start ups through Springboard, Founder Institute and now Impact Seed. Sarah has qualifications in law and psychology. She is currently responsible for strategy, legal, and digital marketing for both companies. 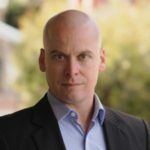 Scott is an experienced strategy and operations consultant and a Certified Practising Accountant. He held senior finance and accounting roles with organisations including Woodside Energy and BHP Iron Ore, Deloitte and BaxterLawley. He is currently a Research Fellow with the John Curtin Institute of Public Policy, a Professional member to the National Standard Chart of Accounts Advisory Body established by the Australian Charities and Not-for-profits Commission, a non-executive director of Australia-Cuba Business Council Ltd, a non-executive director of Community Arts Network WA Ltd (also Treasurer and Chair of the Audit and Risk Committee). He regularly provides pro bono support to not for profit organisations, and mentors postgraduate students and social entrepreneurs. 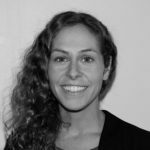 Shiri is an international finance professional with experience across impact investing, development finance, strategy consulting, corporate banking and wealth management. She has extensive international work experience, having worked in Australia, Hong Kong, UK, US, India and Sri Lanka. She specialises in financial analysis, strategic planning and business performance management with a focus on social enterprises and not for profits.